SEO (Search Engine Optimization) is the process of improving the visibility of a website across search engines. Just having a visually appealing and functionally stable website is not enough. Unless it has the potential to reach as many audience, your business just does not serve the purpose of having a website! For, a website should essentially carry high “visibility” i.e. the ability to reach as many audience over a period of time. And how’s that possible? Well, thanks to the existence of our beloved search engines i.e. Google, Yahoo, and Bing — that websites are able to find their relevant audience. Also give thanks to the advanced concept of SEO (Search Engine Optimization) that help search engines understand and give ranks to websites. A form of internet marketing, SEO can be elaborated as “a set of strategies” that optimize your website content such that it gets better visibility. It is an organic way of promoting your website online. That is, you need not have to pump in loads of cash to search engines for showing you desired results. Sounds simple enough, right? Once through, get ready for more relevant traffic and better qualified leads, ultimately leading to more cost-effective customer acquisition. 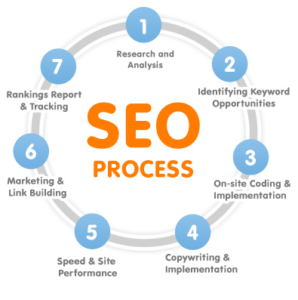 SEO is built up on two major components i.e. On-page and Off-page. As the name suggests, On-page SEO is when you optimize your webpages and make it more search-engine friendly. This can be achieved by optimizing headline, meta tags, URL structure, internal linking, and page content. While Off-page SEO is tweaking of aspects that remotely concern your website. As well, it is beyond your control as off-page gets influenced by activities done by other people — i.e. ‘outside of the webpage’. Off-page SEO includes optimizing backlinks, social sharing, brand awareness, and searcher-based details. Both on-page and off-page SEO carry equal importance as they complement each other very well. It is only suitable to design online marketing strategies which take hints from both on-page and off-page SEO. SEO is all about devising techniques for online marketing, and ways to implement them. Not one or two, but there are a handful SEO strategies out there to make sure your website is better acknowledged by the search engines. Keywords play a very important role when it comes to search engine optimization. One of the very first and more prominent steps in SEO, keyword strategy involves figuring out relevant keywords by way of keyword analysis. This can be done with the help of search engines. Google, for example, offers tools like Adwords through which most suitable keywords can be sought and used to make the website better visible online. Once relevant keywords are finalized as per your requirements, the next important step is to put them into implementation. The keywords can be implemented into an original, concise, and plagiarism-free content that can be used along the website. In a way, without content SEO is incomplete. 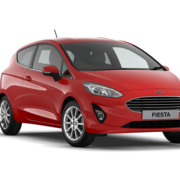 For it is the content that drives the search engines and users towards the website. Therefore, content should be created such that it can be clearly understandable by both – search engines as well as the searchers for better page ranking. Ideally, one of the best ways to have your website placed atop search engine rankings; is to optimize the page code. As much possible, the code should be SEO-friendly before it is submitted to the Google search console. A lightweight code is always preferable as it waives off extra time a website would take to download. On an average, a highly optimized website takes no less than 2 seconds to load. When the code is at par with SEO, it is easier for search engines to work upon the same. To make it more SEO-friendly, more apt tags can be used while enhancing the functioning of the URL. Another vital aspect of SEO is the ability of the website to provide an enriching user experience. When a website is well-equipped with best quality user controls and high-end usability, it indirectly the page rankings. Users tend to spend more time on such websites, while sending positive user signals. Google understands such user behaviour and places the website accordingly. Credibility of the website is built upon due to the off-page SEO activities that take place. Which means on implementation of strategies like backlinks, social sharing, link position, and anchor text increases the website’s credibility. Off-page activities mean more and more people are talking about the particular website. This indicates search engines to give better rankings and make the website more visible. Last but not the least, it is very important to maintain SEO awareness. For that, you have to stay updated with the latest trends across keywords, search terms, and user search patterns so that your website does not become obsolete overtime. When implemented well, these SEO strategies are too powerful to be neglected. They are the real game changers when it comes to marketing across search engines. We hope it had been a very insightful topic for all you SEO enthusiasts out there! 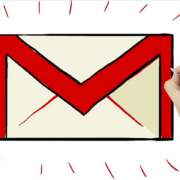 Top Gmail Hacks & Tricks A Digital Marketer Should Know! 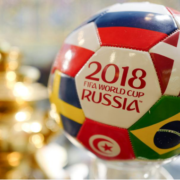 FIFA World Cup 2018 - The Electromagnet of Digital Marketing is Here! 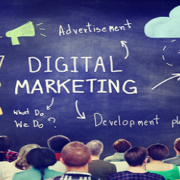 Why should a finance professional learn Digital Marketing? What to Learn from Best 5 Facebook Marketing Case Studies?